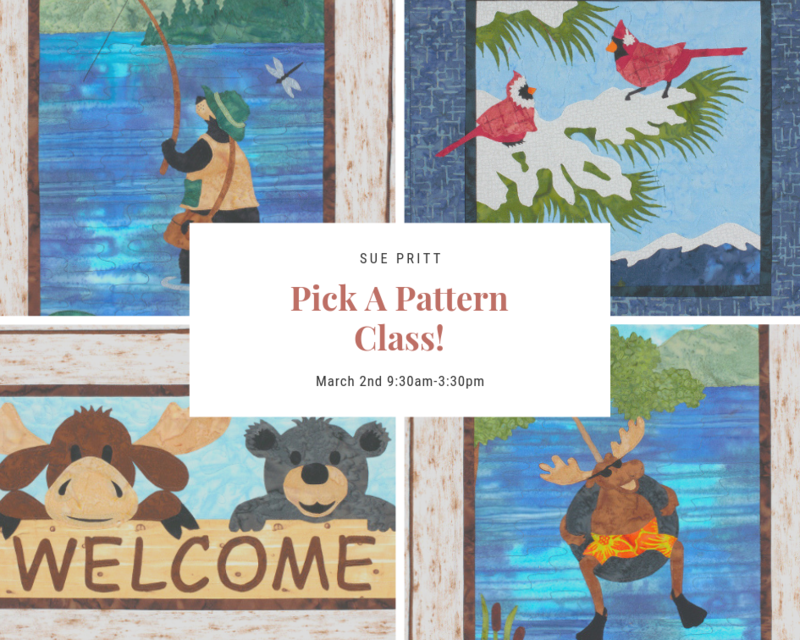 Pick either the Up North Winter pattern (fusible kit available at the Shop) or the Moosenbeary Series (patterns are available at the Shop) and join Sue in this fun technique of quilting as you sew. Samples of both patterns are in the Shop and we ae sure you will love them. Bring your machine, lunch and plan on a fun day of quilting. Purchase your pattern of choice prior to class so that you can pre-cut backing fabric and batting. You will need a sewing machine in good working order with an applique or walking foot, normal sewing supplies: scissors, pins, thread, rotary cutter etc.